what now already??? yup, here is number 26! I put together 2 versions of this adventure that has all DNA creatures from the 47 contributers so far at the time of publishing. The first is supper easy but timely. The second is a bit harder. Thank you DeKDeS for such a great job on hosting such a challenge. Hope you all enjoy the adventures. 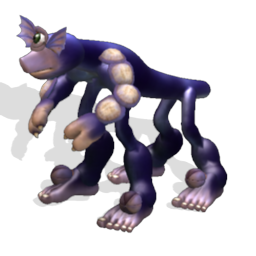 odDballL wrote: I put together 2 versions of this adventure that has all DNA creatures from the 47 contributers so far at the time of publishing. The first is supper easy but timely. The second is a bit harder. wow that's cool! will try them if i have a little bit more time on my hands! On the distant planet Foss scientist found a handless creature with dangerous Scimitards. 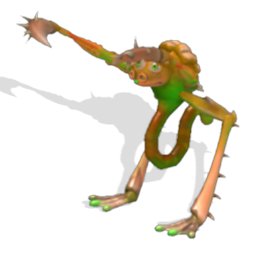 This high-legged Foddur is build to jump and run. 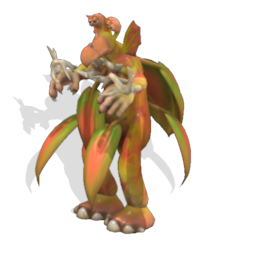 Be'leafs is a omnivore creature, which likes to hide behind his own leafs. Hi Paul! sorry haven't add those to the counter of the new assignment, but i will add them shortly! Well people, here is number 27! enjoy! 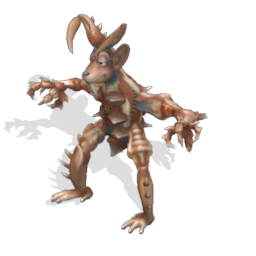 Been rather busy lately with Christmas projects on Spore. Here is my latest that is a must see in Test Drive. 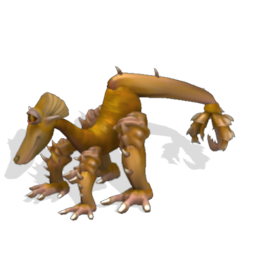 I have never seen any creature on Spore yet that moves like this one does. Pink monopod, no eyes, but hears its enemy or prey on a far distance. Dangerous creature. 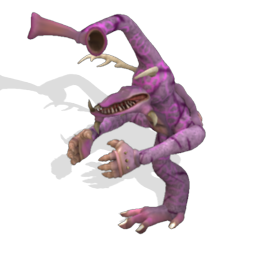 The Silmakki lives solitair and comes only for breeding back to its nest. Peaceful animal, with a dangerous poison defence. cool paul will be added! And number 26....that's it for tonight. Expecting snow tomorrow night so have a feeling I'll be getting a lot of these creatures done this weekend. The last DNA challenge for 2009 has been released. Sorry for the delay. Please notice this will be the last one for the year 2009. I thank you all for your great DNA challenge contributions in the year 2009 and I hope to see you all back next year! Have a great Christmas, Hanuka or whatever believe system you follow and the best wishes to everybody for the year 2010! Ps: good to have you back Mstweedee!